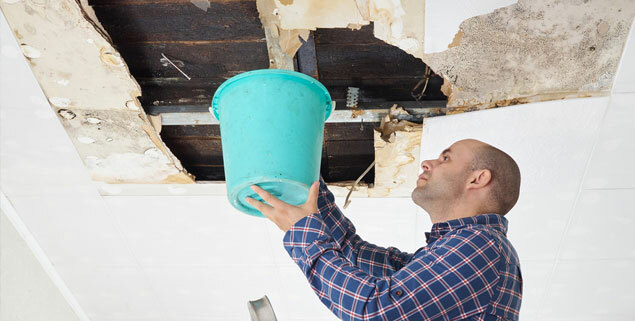 Our highly trained and experienced water damage cleanup team and water damage restoration experts arrive at your San Diego home or office with a bag of tricks designed to fit the bill and cover every need. Truthfully, very little of what we use will fit in a bag, but our stable of equipment, if you prefer, includes hygrometers, infrared camera, moisture detectors, and more. 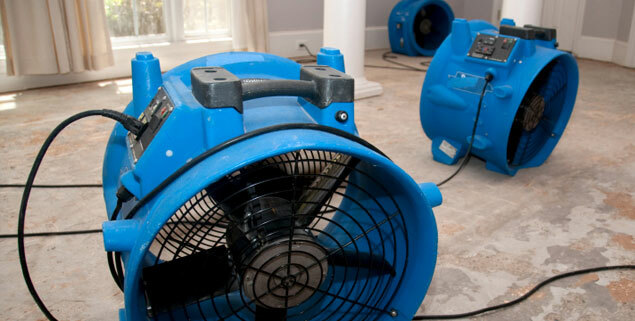 Then, we use submersible pumps, commercial air movers, and whatever else it takes to remove the water and reduce the humidity so your home or office can be normal again. Once the drying process is complete, we move on to complete restoration until things are as good as new — or better. You’ll be surprised how many items like furniture, carpets, and drapes we can save, so you won’t have to replace them after all. But if replacement is necessary, we can handle the work and the arrangements for you. Our water damage restoration service is just one of many remediation and restoration services we’re pleased to offer to the San Diego community and surrounding areas. While each type of restoration has a unique approach, everything we do is aimed at restoring normalcy. In the case of fire damage, smoke and soot do a very different kind of damage than water — although firefighting efforts usually mean there’s also water damage at the site of a fire. 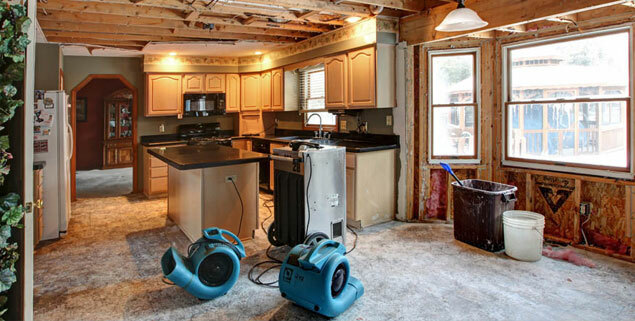 But for water damage restoration, we don’t usually need to bring out the fogging equipment or air scrubbers to remove residue. There are many different steps that will have to be taken for restoration and should only be performed by experienced, licensed, certified water restoration professionals. If you experience water damage in your home or business, the first thing you should do is to call Orange Restoration. Our emergency response teams are ready 24/7 and able to respond at a moment’s notice. Experienced, certified technicians will perform an assessment to determine what further actions must be taken to correct any water damage. Once this step has been completed, they will evaluate if there are any safety hazards involved and all contents are safely secured before restoration begins. Controlling the damage and removing all standing water should be performed as quickly as possible. All wet or damaged items such as clothing, rugs, and toys will be removed from the affected areas. After all water has been removed, the technicians will remove all the wet areas on walls, floors, or ceilings to help out in the drying process. In some cases, baseboards will be removed along with drywall that cannot be salvaged. Once items have been removed and all wet surfaces have been wiped down, cabinet doors and drawers will be opened to allow for proper drying. Technicians will only use high-grade commercial equipment, which includes dehumidifiers, air movers, wood floor drying equipment, and heaters to stimulate dry air, increase the air circulation, and create evaporation. During the drying process, the entire area will be carefully monitored over a number of days and all results will be recorded. This is a very important step to ensure there are no possibilities of further mold growth. On an average scale, the drying process will take 2 to 4 days. A certified technician will return to your home after the structure has been completely dried and perform another inspection to make sure there are no hidden areas of moisture that could lead to further damage and the possibility of mold. If mold is found anywhere in your property, we will dispatch or mold remediation team to assist with the removal of the mold damage. Mold growth after the drying process is rare, but it is always something our inspector keeps an eye out for. Once everything is completely dry, if there is structural damage and other materials that will need to be replaced, reconstruction will begin. Our reconstruction team has years of experience in the construction and remodeling field. At Orange Restoration, your property will always be in the trusted hands of an expert. Once reconstruction has been completed, your home should be back to a healthy, safe environment and brought back to excellent condition. 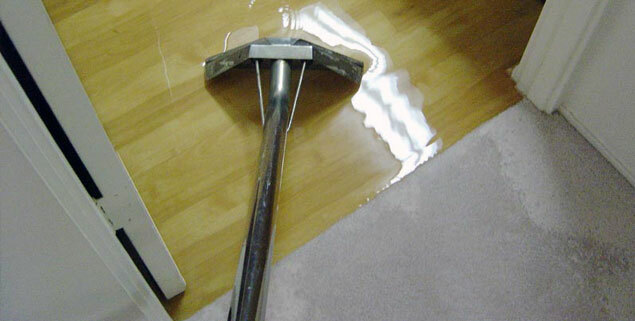 We pride ourselves in providing top notch water damage repair in San Diego. Q: What events can cause water damage? A: Many things can cause San Diego water damage. 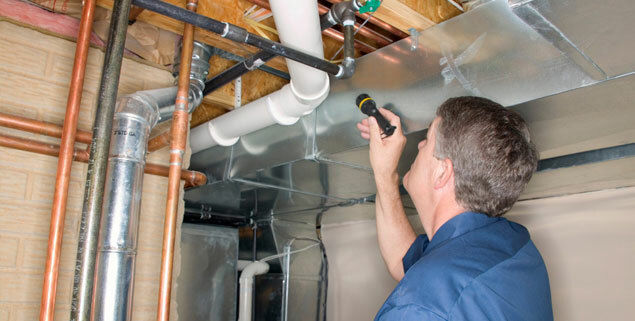 A hurricane, tornado or flood can cause water damage, but so can a broken pipe or even a small leak not caught quickly. Q: Can you prevent water damage? A: Proper maintenance of all parts of your structure can help. This includes water pipes, gutters, appliances and more. Monthly inspections of your septic tank, if you have one, is also important.